Because you tend to get a little too excited about your leftover lasagna, the HAPIfork is here to help you slow your roll. This electronic fork -- which graced CES this week -- records each time you bring it to your mouth as a "fork serving" and buzzes when your servings are stockpiling too quickly. 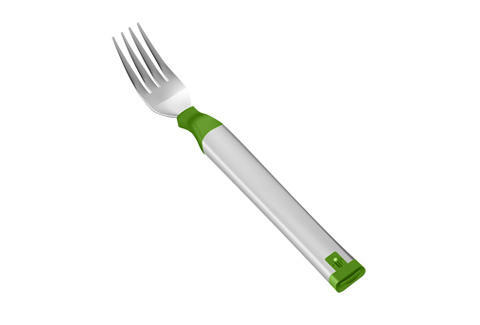 After licking any leftovers off your plate, plug the HAPIfork's USB in to your computer to get a read-out of how long it took you to eat, your "fork servings" tally, and the space between servings. 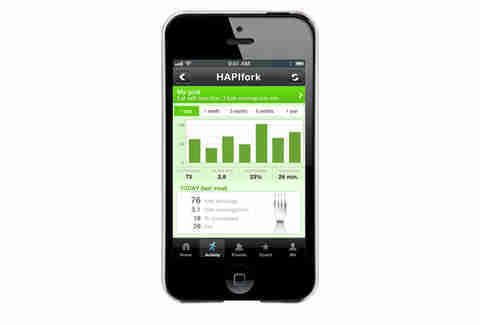 The HAPIfork is designed to help with weight control and digestive problems, information you'll have to share with your guests when they ask why the hell your utensil is vibrating.